This passage offers part of a fascinating moment in the life of the apostolic church. As the community strove to grasp the full implications of the paschal mystery, controversy stirred among believers. The disagreement about the means of incorporating Gentile converts into the church was so severe that it appears to have given rise to factions. The letters of Paul and the Acts both indicate that some Christian believers demanded that Gentile converts observe some degree of ritual Jewish law. Paul, of course, became the champion of the Gentile mission and the passionate conviction that the gentiles were now to be summoned to faith in Christ directly. There would be no detours into Jewish culture and practice. Both Jew and Gentile were equally lost before Christ and equally summoned to a new life of grace. This was no mere pastoral accommodation - it was theological conviction. To impose Jewish customs on new believers would suggest that the grace of Christ was insufficient. As Paul's letter to the Galatians reveals in particular, Paul battled any lessening of this radical equality between Jew and Gentile. And indeed there were others, a faction, who had come to Galatia claiming to represent the Jerusalem Church - these preachers questioned Paul's authority and his teaching. This same controversy it at issue in the Acts. Recall that Peter had to be taught by visions from God that he must minister to Gentile households. And the text of Acts reveals that the mission to the Gentiles, and its spectacular results, are the work of Divine Providence. But Acts differs from Paul's letters in accounting for the meeting we find in this passage from Chapter 15. The letters never acknowledge any compromise in his perspective. Here in Acts we hear of a Church council. While the better part of the debate is missing from the lectionary passage, we do hear about its resolution. The Jerusalem Church certainly affirms Paul's Gentile mission and distances itself from those demanding that Gentile converts embrace full Jewish ritual observance. Nonetheless, the meeting announces a compromise and asks that Gentile converts observe four key provisions. It does not appear that this decision was anything more than an accommodation offered to heal a source of division. These four prohibitions never entered into universal Christian practice. Each of them represents something that would cause scandal to jewish Christians and possibly deepen the divisions in the Church. The universalism of this Psalm suits the account that precedes it. It reminds the listener that God's own plan always intended to bring the Gentiles (the nations) into relationship with God. We might be tempted to recognize this and wonder that some early Christians raised questions of Paul's ministry. It is important to remember that the controversy above never raised an objection to Gentile converts. The dispute concerned the means of that conversion, not its existence. Jews in Jesus' day were acutely aware of the incomplete nature of the nation. The Assyrians had laid waste to the Northern Kingdom and its attendant tribes. 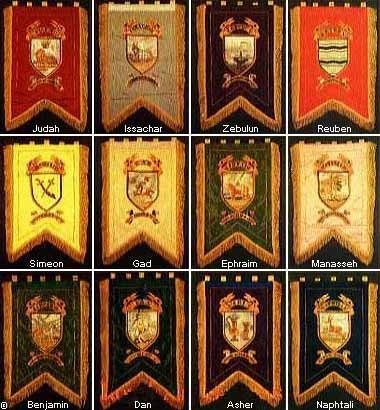 Those lands, part of the Kingdom in the Golden Age of David and Solomon, were populated by ten of the twelve tribes - tribes that were an integral part of Israel from the time of the Exodus. The rump state of Judah was also conquered - in this case by the Babylonians - but the Judeans (or Jews) returned from exile and rebuilt their nation and their relationship with the Lord. The tribes of the North never saw such restoration. On the contrary, their conquest and exile left a hybrid people and faith, the Samaritans, that were abhorred by the Jews. The prophets therefore spoke of the day when the Lord would restore the fullness of Israel - Judah, Benjamin, and the lost tribes. In fact, the restoration of the tribes would be the clear sign of God's action. 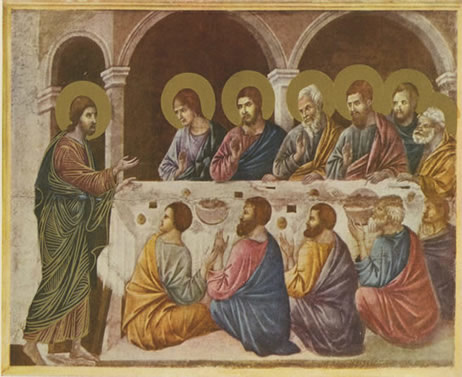 It is no accident that Jesus called twelve Apostles - in doing so he signaled the same truth that he announced: "the reign of God has drawn near!" This passage from Revelation adapts this same imagery to an apocalyptic vision of the fullness of God's reign. The people are restored and God is fully manifest in their midst. Even the temple finds its ultimate fulfillment - it will not longer be necessary as the Lord Jesus has brought humankind into a new possibility go relationship with the Father. This passage forms part of a lengthy encounter between Jesus and his disciples. beginning with the foot washing, Jesus addresses and teaches his closest friends. The section concludes with a prayer to the Father by Jesus for their sake. But here, near the center, we hear about Jesus' tender care for them and his entrusting of his work. He reassures their fears as he speaks of his own departure by promising that this remarkable and intimate friendship between them will continue.